Books: Banned, Challenged, and Restricted! 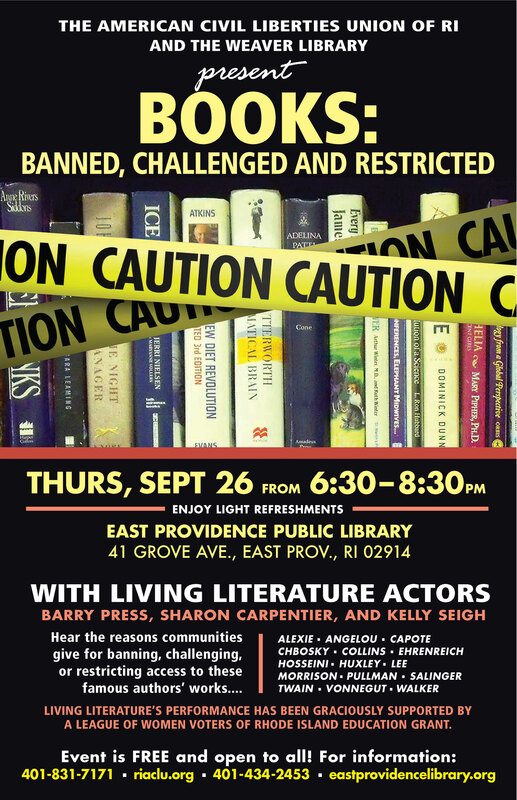 Hear the reasons communities give for banning, challenging, or restricting access to these famous authors’ works…. This event is free and open to all. Living Literature’s performance has been graciously supported by A League of Women Voters of Rhode Island Education Grant. Join with like-minded folk for good conversation and light refreshments after the program. For information, contact Joyce at 401-434-2453 or eplibraryjoyce@yahoo.com.